If you want to add a bit more (or a lot more) muscle to your Mustang, Tickford is your first port of call. 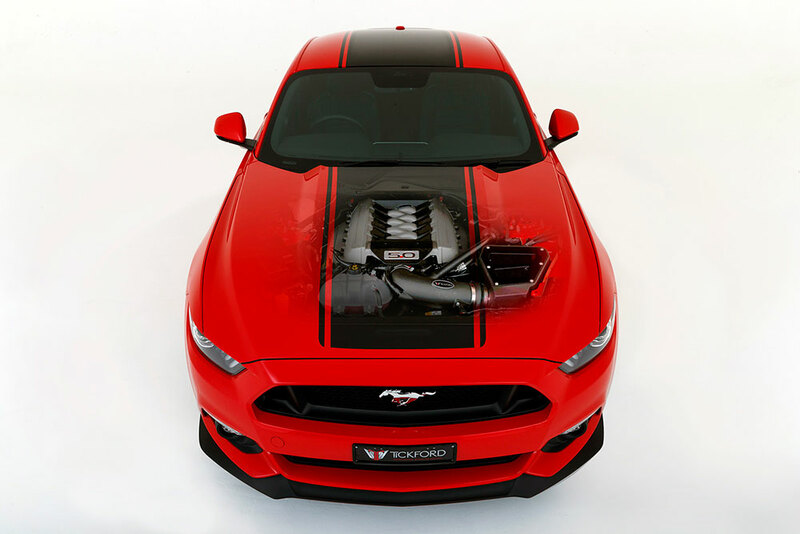 Previously Australia’s tuner of choice for hot V8 Falcons, Tickford has developed a range of parts and packages to suit both the EcoBoost turbocharged engine as well as the GT 5.0L V8 Mustangs including everything from a stripe pack all the way up to a wild 500kW supercharger pack for the V8. The real kicker though is that all power packs include a warranty for the remainder of your new car warranty. So, what what is available for your Mustang? Find out more on our latest deals for the iconic Ford Mustang. 306kW as standard is good but 360kW is better. Torque also gets a bump up from 530Nm to 585Nm providing plenty of mumbo for your muscle car. How does Tickford squeeze that much more power out of the engine? Firstly it’s down to a new Performance Tune engineered to deliver not only more power but also better driveability. Also included is a cold air intake, throttle body spacer, 3 inch Tickford developed stainless steel cat back exhaust with quad outlets wrapped in carbon and housed in a Tickford designed diffuser. Tickford will cover any failure that occurs as a direct result of the functionality and fitment of their products, for the balance of the new vehicle warranty. 500kW. Yes. Five hundred killowatts. The word “necessary” never made it into the local dialect at the Tickford factory. A colossal 639Nm up from 530Nm is the subtitle to the eyeball grabbing headline. If you prefer your muscle cars to lean more toward the unhinged end of the scale this is the package for you. Details are not 100% set and may vary depending on exaclty how you want your build to go however the headline act is a Roush branded supercharger perched atop the Coyote 5.0 V8. 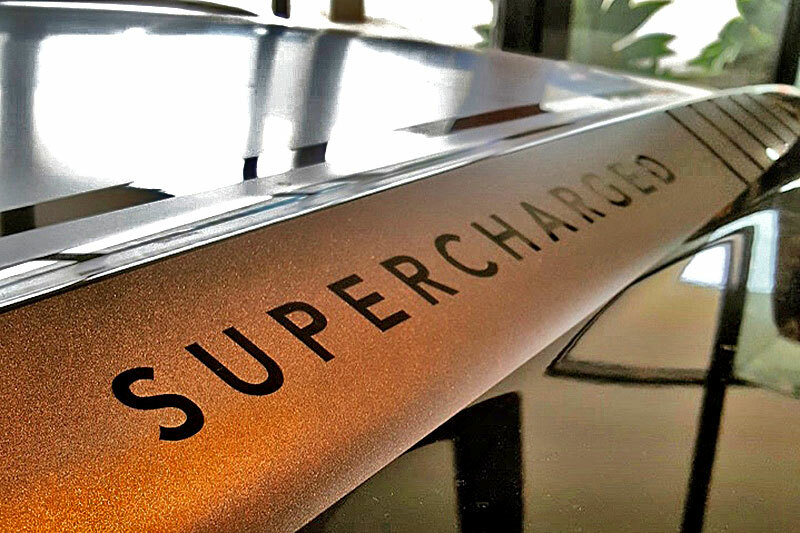 Tickford is currently undergoing final testing and compliance on the soon to be released Supercharged Power Pack upgrade for the Mustang GT. 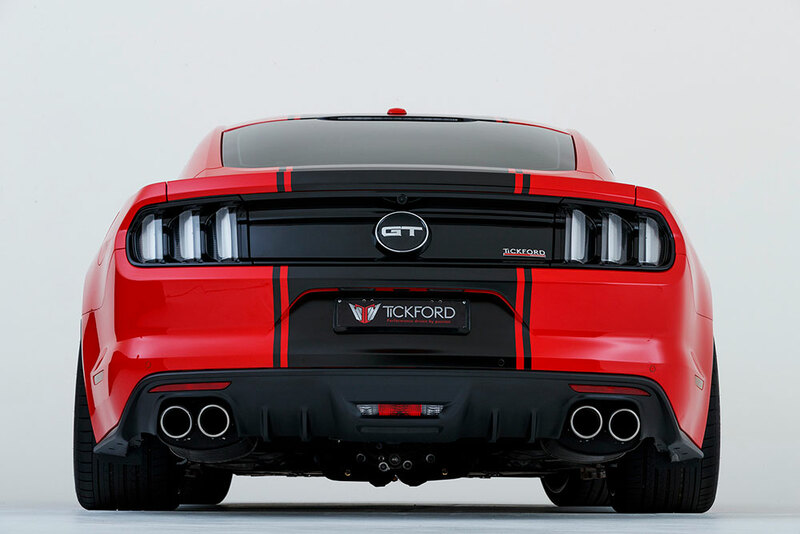 Engineered to deliver pure grunt at any revs, the package will be matched with Tickford’s signature Quad Outlet Exhaust and Rear Diffuser and an optional Supercharged Stripe kit. If you were chasing the power but couldn’t justify or didn’t want a V8 this is the pack for you. 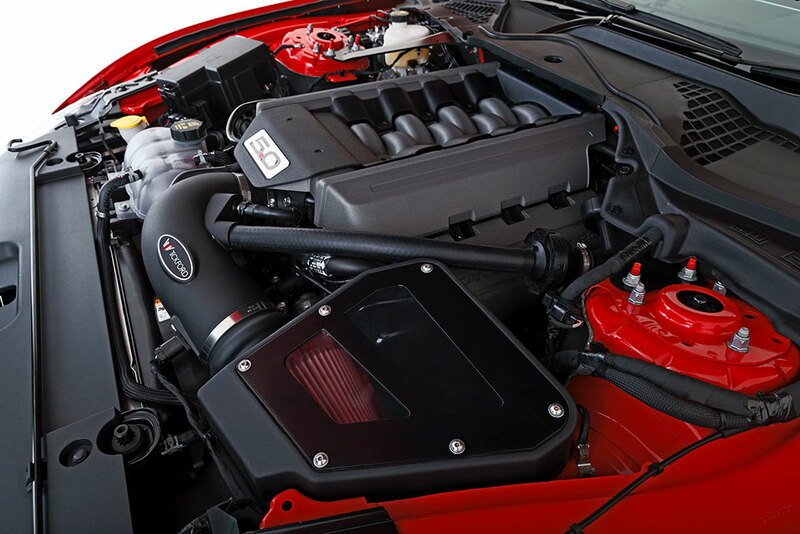 Power increases from a sporty 230kW to a muscular 270kW and torque jumps from 432Nm to a thumping 520Nm. Those figures were considered great for a 5.7 Litre V8 not all that long ago! It’s worth noting this is the same 2.3L turbocharged engine which drew rave reviews in the Ford Focus RS hot hatch which Tickford has now turned up the wick on, the results are fairly spectacular! Tickford achieves these numbers thanks to a Performance Tune, cold air intake 2.5 inch stainless steel cat back exhaust, quad outlet carbon wrapped exhaust, Tickford rear diffuser plus Tickford will cover any failure that occurs as a direct result of the functionality and fitment of their products for the balance of your new car warranty. 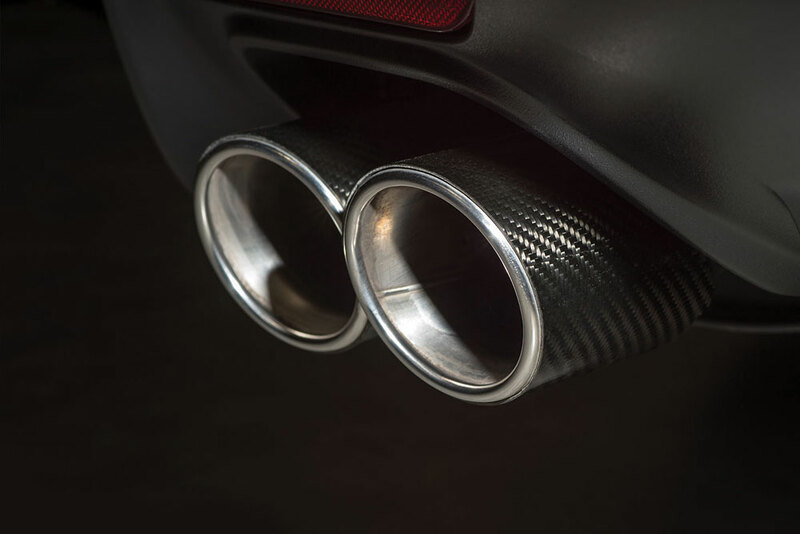 If you’re happy with the performance of your Mustang but just want to liven up the exhuast note, Tickford offers their stainless steel 3.0 inch cat back exhaust for V8 models or a 2.5 inch cat back exhaust for EcoBoost models, both with carbon wrapped quad exhaust tips plus a new diffuser to suit. The exhausts are mandrel bent and acoustically tuned to give a louder yet more defined note with no droning in the cabin. Get the attitude without the drawbacks. 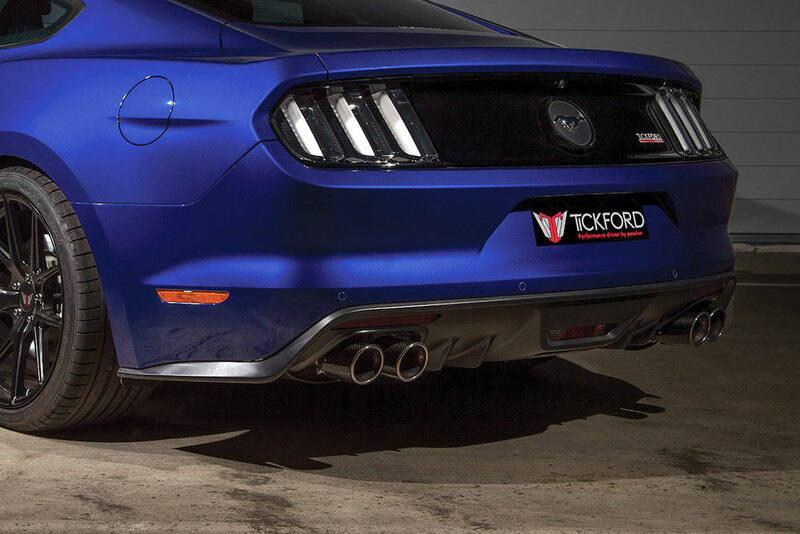 Tickford’s Mustang Sports Suspension has been tuned and set-up to maximise performance and comfort for Australian road conditions. Developed in conjunction with H&R suspension Tickford’s set-up retains the firm, sporty body control you expect in the Mustang but it feels more balanced and less unsettled by bumps, both big and small. Tickford engineers were driven to achieve the optimal balance between handling dynamics and ride height compliance, resulting in a 25mm drop, giving the Mustang a purposeful and aggressive look that enhances the coupe and convertibles muscular body lines. It features adjustable ride height and is complaint wtih all state regulations. If the suit maketh the man, the wheels definitely maketh the car. 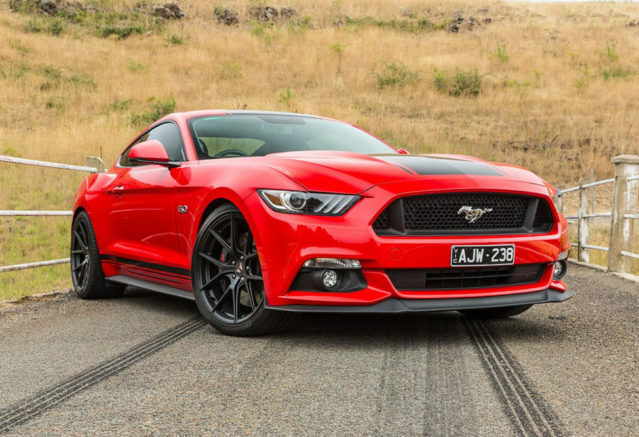 Rather than spoil the gorgeus lines of the standard Mustang with an eye catching yet polarising body kit, Tickford have developed a unique set of alloys to complement the design and also add improved stability and traction. 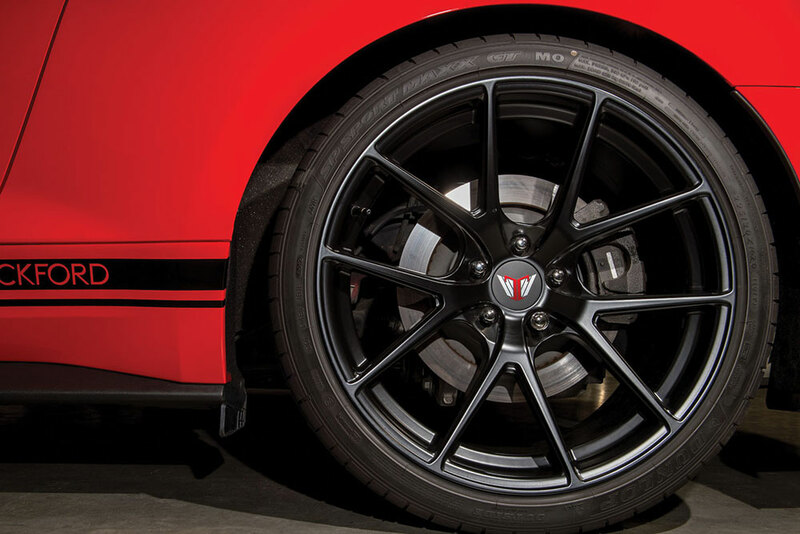 The 10 spoke design is finished in satin black and features a staggered design using a 9.5 inch wide wheel at the front and 11 inches wide at the rear. Tyres are Dunlop SP Sport Maxx GT’s with tyre pressure sensors also included. 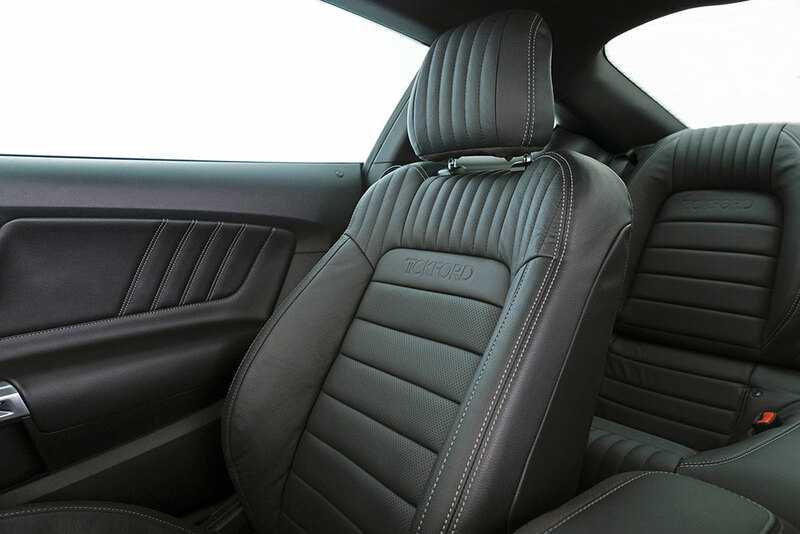 Retro inspired and perfectly matching the character of the car, Tickfords OEM spec leather re-trim features improved padding and support over the factory seats resulting in a more comfortable pew and reduced driver fatigue over long or more “exerted” drives. Pleated stitching and Tickford embossing add to the look and feel while the centre console is upgraded to a unique suede and leather design. 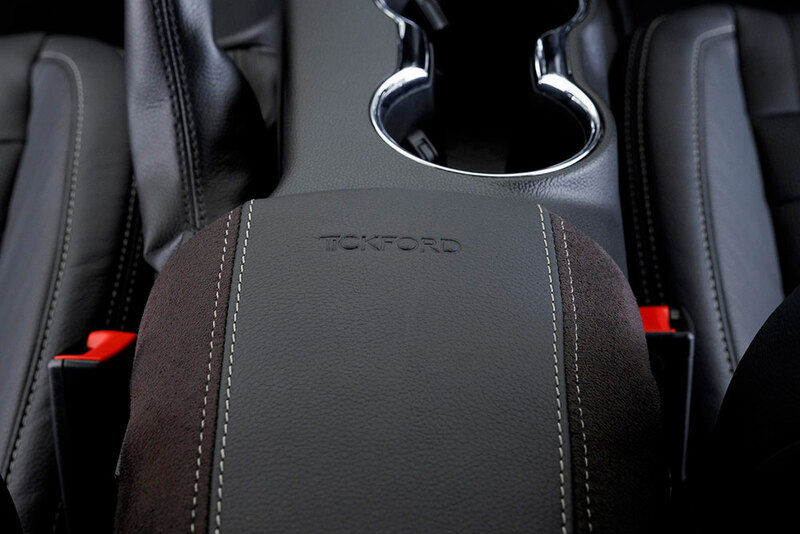 Tickford’s Mustang Interior Upgrade has passed independent testing for air-bag compliance and is available for coupe and convertible. All Tickford modifications are now available in Perth through John Hughes Ford and can be fitted prior to you taking delivery or at any point thereafter. Contact us today for a quote! There is no car like the Mustang, a majestic powerhouse that is as elegant as it is powerful. 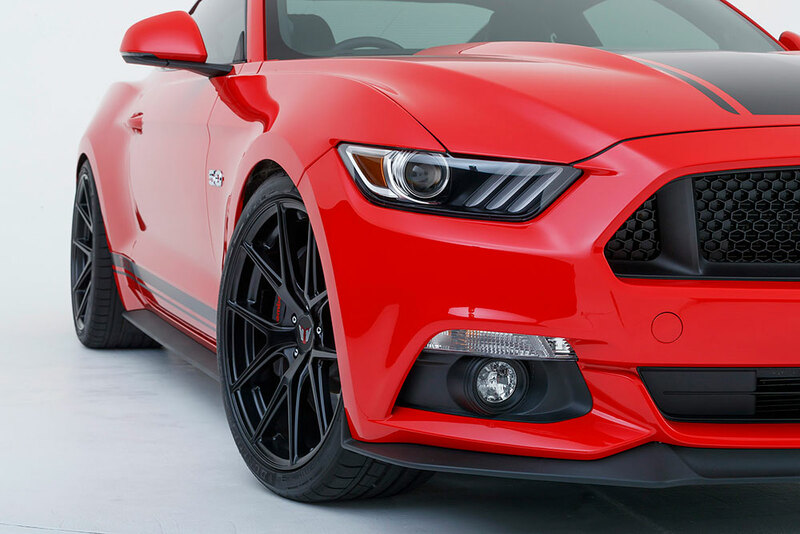 We also have a 5 year warranty deal for Ford Mustangs for a special limited time, click here for more information and make Ford your brand of choice.